Want to add some color to your walls or furniture? First, you gotta’ know what ingredients go into pet-safe paints. The cans most likely won’t be labeled “pet-safe,” so what should you look for instead? 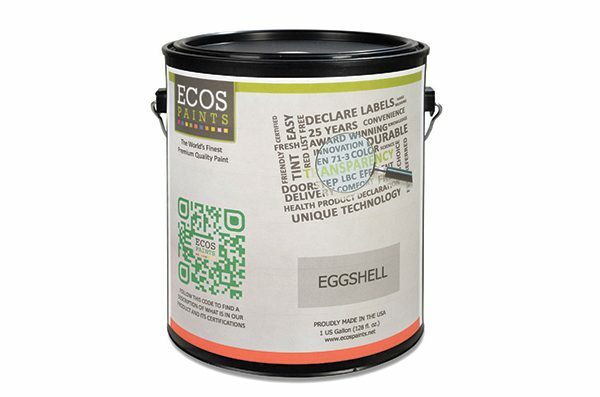 “You’ll want a paint that contains no toxic chemicals or volatile organic compounds (VOCs),” said Arthur Emptage, IT consultant for Eco Paints, which creates pet-safe paints called ECOS Pet Paints. He also recommended looking for odor-free, water-based paint, which doesn’t produce the fumes that are bad for you and your dog. Also avoid paints that contain formaldehyde, toluene and/or polyurethane or say “zero VOCs.” If they contain any of those chemicals, they are not true zero VOCs, Emptage said. 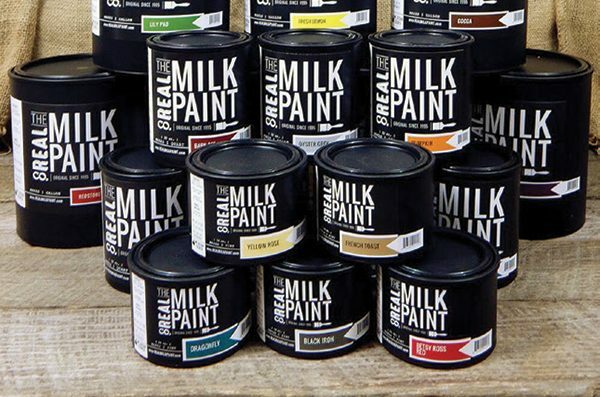 Milk paint is a pet-safe paint that uses a milk base. Photography by The Real Milk Paint Co. Milk paint is water-based and, because of its ingredients, environmentally friendly and nontoxic. That means you won’t get any of those pesky fumes found in polyurethane paints, and it’s dog-safe. There are some cons to milk paint: mainly its short shelf life, which can be as short as a day. That’s because milk paint comes in powdered form, and once you mix it with water, the clock is ticking. If you don’t use it within a certain time, it will congeal and be unusable. That’s why, when shopping for milk paints, look for mixes that can last longer than a day and that don’t congeal, Welch said. The pros outweigh the cons, though: With milk paint, you know you and your dog are safe. Once you get your paint on, it’s now time to keep your walls and furniture safe. Muddy, dirty dog fur is a bane to homes everywhere, so you want your paint to hold up to cleaning. Look for paints that have an “eggshell” or “satin” finish. These are great for stains and can be easily wiped clean. Choose a color that’s slightly off white so that dog dirt and debris don’t show. Photography courtesy Eco Paints. Jessica Pineda is a freelance writer who lives in Northern California with her two German Shepherds, Forest and River. The post How to Find Pet-Safe Paints That Aren’t Toxic to Your Dog appeared first on Dogster.